Fire on Devils’ Night. Photo by Steve Neavling. Devils’ Night, the notorious decades-long tradition of setting houses and buildings ablaze in Detroit, appears to be dying after fewer arsons were recorded this year than anytime since the 1970s. Firefighters responded to 59 fires during the three-day period that ended at midnight on Halloween. While there were only 52 fires during the same period in 2015 – the lowest number in decades – this year had fewer arsons, resulting in less destruction. In fact, many of this year’s fires were accidental, with at least five contained to kitchen ranges. Motor City Muckraker independently verified the city’s numbers. It’s the second straight year that Detroit had fewer than 60 fires during the three-day period. 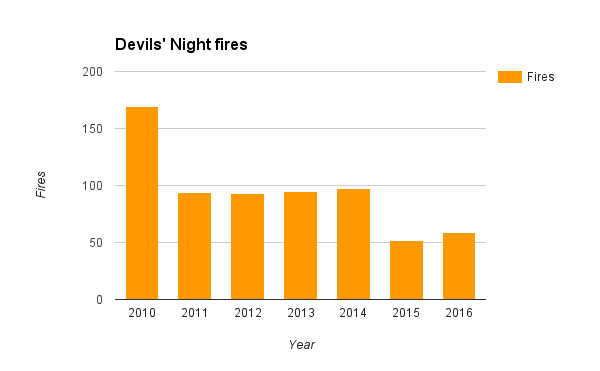 It’s anyone’s guess why Devils’ Night fires are declining. Since Mayor Duggan took office, more than 10,000 houses – potential arson targets – have been demolished. The younger generation also appears to be less interested in the destructive, sometimes deadly, tradition. And volunteers and beefed-up arson patrols also may be making a dent. Duggan praised the coalition of police, firefighters and thousands of volunteers who took part in the annual Angels’ Night period. 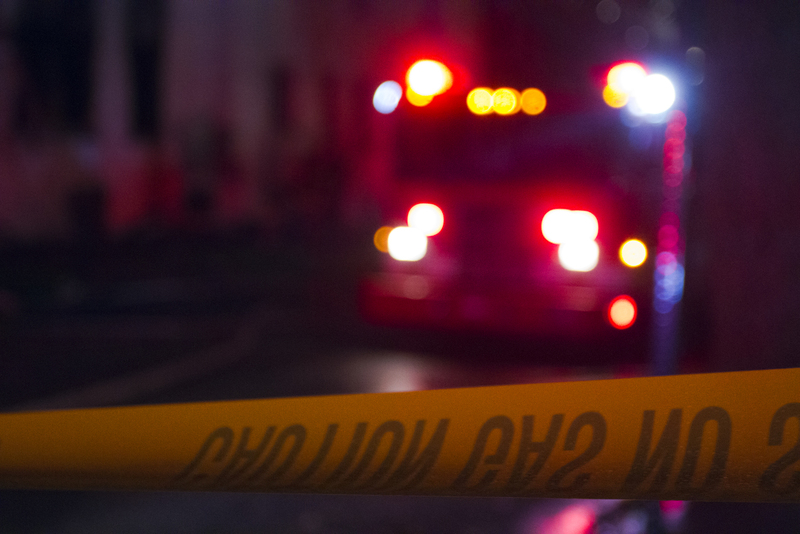 Fire Commissioner Eric Jones, who took the helm just before last year’s Devils’ Night, noted that suspicious fires have been declining for several years. Devil’s Night fires have gradually declined since 1984, when 810 fires broke out and firefighter response times jumped to seven hours. Devil’s Night began as early as the 1930s when pranksters threw eggs and toilet paper at houses. The mischievous escalated to arson in the 1970s. After 354 fires broke out in 1994, then-Mayor Dennis Archer created “Angels’ Night” with thousands of volunteer patrols, strict curfews and bans on portable gas containers. In 1995, the number of fires declined to 158.